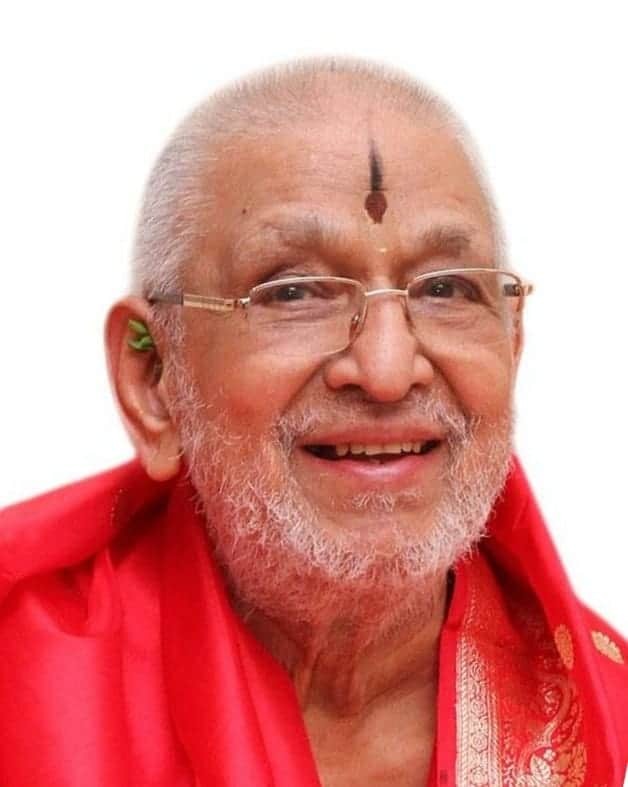 04:00 p.m. – Arrival of H.H Shrimath Samyamindra Thirtha Swamiji (Patta Shishya of H.H Shrimath Sudhindra Thirtha Swamiji), along with the Samsthan Deities-Sri Vyasa Raghupati Narasimha from their Koteshwar Mokkam. 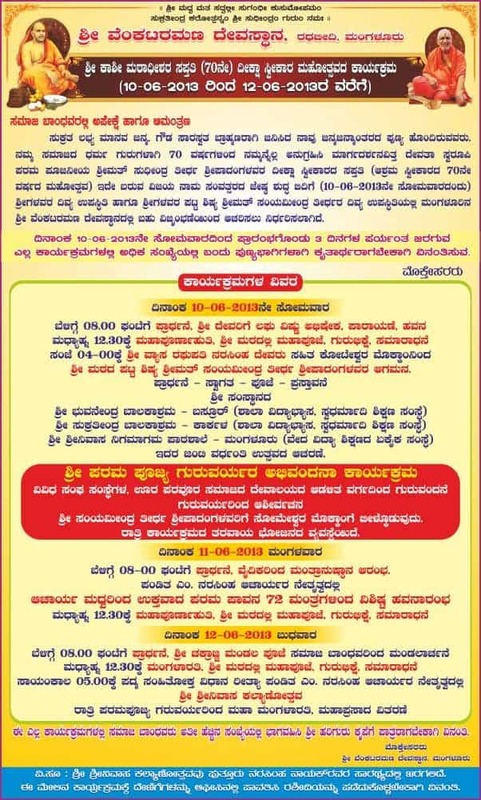 Shri Srinivas Nigamagam Pathashala (Mangalore), Sri Bhuvanendra Balakashram (Basrur) and Sri Sukrathindra Balakashram (Karkala), the institutions owned and managed by Shree Kashi Math Samsthan will be celebrating its Vardhanti Utsav (Annual Day) jointly. – Guru Gunagana (Speeches) by Representatives of various Temples and institutions. – Ashirvachan by H.H Swamijis’. H.H Shrimath Samyamindra Thirtha Swamiji will be proceeding to their Someshwar Mokkam. 08.00 a.m. – Prarthana – Mantranushthana by Vaidika Vrinda followed by “Vishishta Havana” with 72 Mantras suggested by Sriman Madhwacharya. ● Devotees willing to contribute towards the programme are requested to make their contributions in the Temple office and obtain receipt for the same.